First degree in Physics and Math. During her studies Dikla took part in a particle physics research project and a research project in the topic of statistical mechanics. About the Program: Dikla enjoyed the biweekly lectures, took a more flexible curriculum which led to her studying math as well, met interesting people and took part in two interesting research projects. 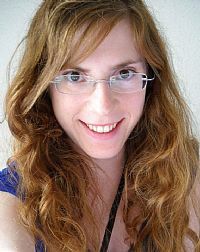 Today (2012): Dikla is working on her Physics MSc at the Technion. Recommendation to Program participants: "Enjoy your studied, take interesting courses and make sure you get the most out of them and most importantly, do research."